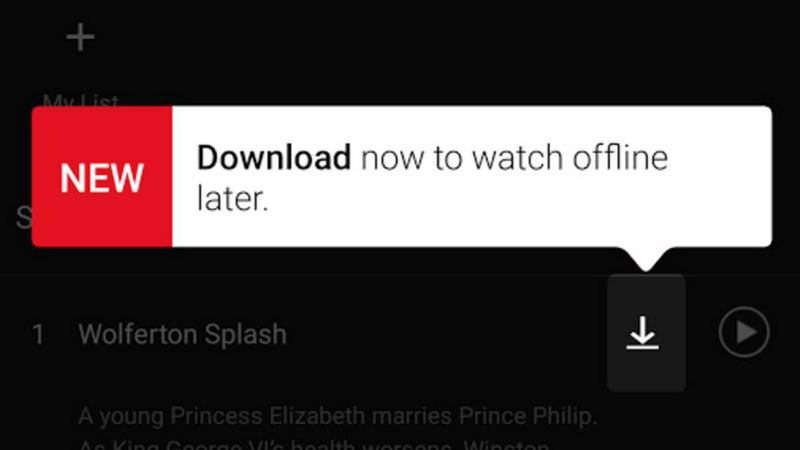 Now you can download Netflix videos or watch them offline. Today Netflix announced that offline playback feature is coming. Currently, you can select Stranger Things, The Crown, Narcos, Orange is the New Black, and others available to view offline on day one. Soon more Netflix videos will be available for download. The company will release its updated Netflix app on Android or iOS today. A new download button will appear next to the play button letting you save content to watch later. There are two options for quality: Standard and Higher. Standard quality is a slightly lower video resolution that requires less storage space and takes less time to download. Higher quality is a higher video resolution that requires more storage space and takes more time to download. Amazon Instant Video and Vudu also allowing customers to download content to watch anywhere. Right now, this new feature is available for every subscriber.